If we’ve learned anything in the current year, it’s that the majority of people respond to shadow language and little else. They listen to words and phrases, not concepts. They don’t have the interpretative framework to discern false histories and contrived narratives. For example, if you told a person brainwashed by critical theory that the Confederate statues that they want tear down were erected and funded by a diverse southern women’s movement to honor their kin, would they bat an eye? Might be worth a try. These were memorials to the dead, and this is duly noted on almost all the statues. At the end of America’s Civil War, several hundreds of thousands of fallen Confederate (and Union) soldiers were laying around the countryside or interned in shallow graves. The war was mostly fought in the South. Tens of thousands of others were dying prematurely and often in poverty from their wounds. The Ladies Memorial Association (LMA) was established to give these fallen American soldiers decent burials and commemoration. Alliances with northern women were formed to return fallen Union soldiers to the North. Between 1865 and 1900, these women’s associations were a formidable force in the South, establishing cemeteries and raising large monuments. At the same time, as part of national reconciliation and reunification, soldiers from both sides held reunions and bivouacs. The flags and uniforms of the Confederacy and the Union were freely displayed and honored by all sides involved. At one time, before the utter and complete degradation and corruption of “American” media, there were fine documentaries, such as Ken Burns’ “The Civil War.” It was first broadcast on PBS on five consecutive nights from Sept. 23 to 27, 1990. The concept of national reunification and memorialization was touchingly covered, as shown below. Approximately 40 million viewers watched it. If this clip doesn’t bring a tear to your eye, shame on you. Unfortunately, for many under the age of 30, this classic documentary seems to have fallen into the Memory Hole, leaving them with the knowledge of a flea on the issues involved. The removal and vandalism of these memorials are akin to desecrating cemeteries and tomb stones. It offends family members and our national honor. No Union soldier would have stood for it. One of the statues just taken down in Baltimore under the cover of night and with no public notice was the Confederate Women’s Monument dedicated in 1917. 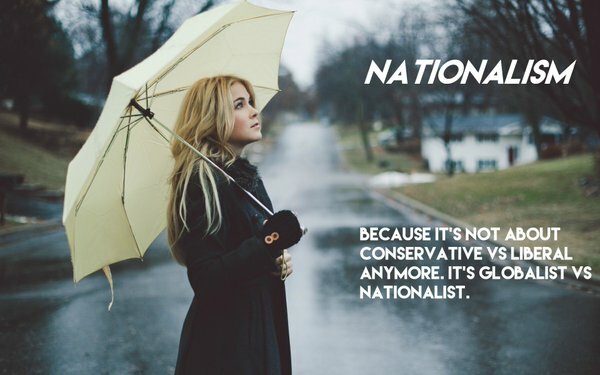 The New Nationalist (TNN) has no problem with true diversity. But there is a mono-culture scam being pushed by globalists, or worse — Red Terrorists. If you wish diversity to exclude fallen Confederate soldiers, then how about their wives, daughters and mothers? Are you diverse enough to include them? If not, who is the true sexist? And the reality is that the Confederate memorial removal hysteria is undemocratic. National polls reveal that even within black communities, only a small minority strongly support the removal of statues of Robert E. Lee. What if the poll were rephrased to ask about removal of memorials to fallen American soldiers, because that’s what is happening. I don’t care for the right-left dialectic at all. I propose the term “populist nationalism” and drop the Alt-Right concoction and narratives of the Judas Goats. My term implies a sense of popular opposition against giant centralized powers — globalized corporations, governments, etc., which is the essence of the “red pill.” This positioning also places you on the offense against your political opponents right off the bat. If you are anti-populist, you are aligned against the will of the majority of the country. Finally, to repeat the theme of prior articles, TNN is pro-civil rights. This must be applied universally and would certainly include the civil rights of white people, which are being violated every day. We’ve illustrated this issue in dozens of posts and include articles from around the web and “real news” sources.